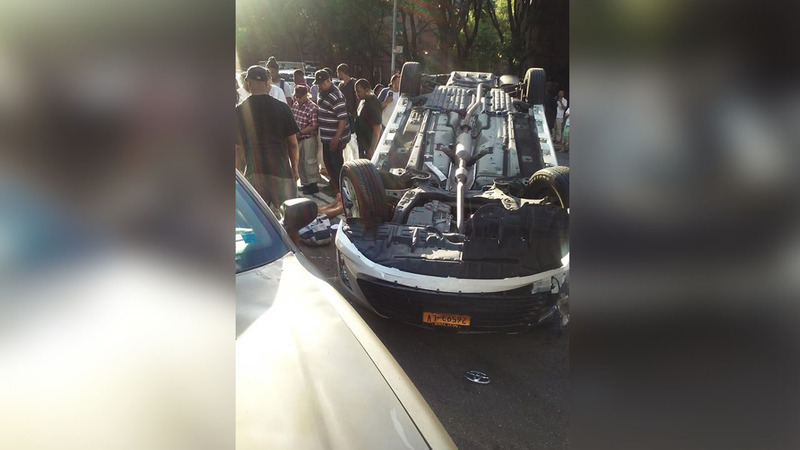 BEDFORD-STUYVESANT, Brooklyn (WABC) -- Two people were injured after an ambulette overturned in an accident in Brooklyn on Tuesday evening around 7 p.m.
Two vehicles were involved in the accident - the ambulette and another vehicle. at the intersection of Ralph Ave & Fulton Ave in Bed-Stuy. The driver of the ambulette and a female passenger were injured due to the impact. One person was taken to Saint John's Medical Center and the other was taken to Kings County Hospital.